Citty is live modular techno project founded by Martin Vodicka. Created to explore the sound possibilities of our times, to examine the effect of sound hypnosis on living subjects, to create impressions of non-existent worlds by using unheard atmospheres and modulation of noise. The variety of sounds Citty composes goes from dark ambient atmospheres and drones to hypnotic techno including not straight rhythms and patterns combined with distortions.His live show consists in a variety of drum machines, samplers and modular synthesizers. Due to improvisation with modular synth on stage you can be surprised by weird melodies and crazy noises which makes each performance unique.Citty started in 2014 although Martin is in music industry for more than 10 years. 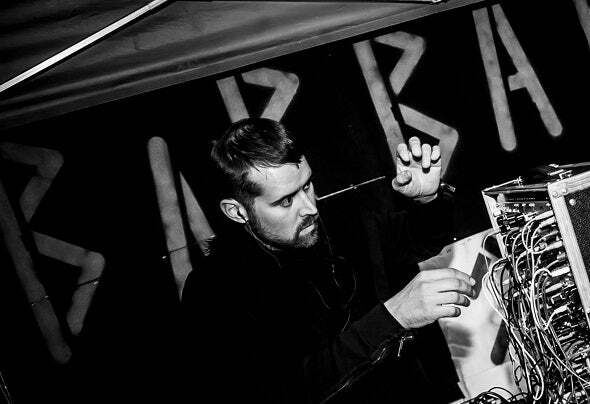 Together with Segment he organizes “Come In” a series of Techno events in Czech Republic. He also host a series of modular workshops and classes. As Citty he already worked with artists like MODVS, Michal Jablonski or The Variable Man.